It is not travel spot, but it is world wide famous spot. There are many those kids of interesting or unique spots in Japan. The best example is Shibuya Hachikomae Crossing. 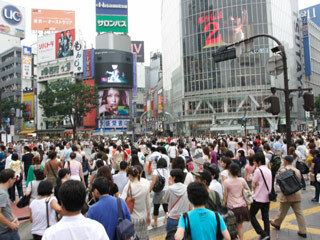 Every change of signal, thousand of pedestrians cross. No other crossing in the world like Shibuya Hachiko crossing. Also, Japanese bridge is very beautiful art work you can enjoy.